What has מעלות been up to these past few days? Well, now that you mention it, it’s a little hard to remember. Matter fact, my memory is feeling pretty fuzzy. Now I’m sure I could figure it out if I could spend a little time with my old friend Lincoln. Yeah, he’s great for jogging the ol’ memory. You gotta grease the wheels, parents. Ah, there we go, much better. Oh yeah! It’s all coming back now, clear as crystal, fresh as daisies. I’ll tell you whatever you want to know. We left מעלות as they were on the precipice of an exciting Thursday afternoon. Our hearts trembled with excitement as we played sports and had a חינוכי (educational פעולה (activity)) about the summer’s theme, וחכניה יבנה לי תן (give me Yavneh and it’s wise people, a quote from the Talmud about the city of Yavneh’s establishment as a center of Torah study after the siege and destruction of Jerusalem). With fuller minds and emptier stomachs, we headed to shower before ערב ארוחת (dinner, literally evening meal). After an exciting dairy meal we stayed in the אוכל חדר (dining hall) to have a פעולה run by the משלחת (Israeli counselors who also run Israeli themed programming every summer). We learned about Israel’s history and culture, and had the opportunity to make food in a Top Chef-style competition related to the theme of Israel and actualizing one’s potential. While most of the desserts were basically just Oreo’s and olive oil, this writer did eat all of them and honestly felt a little guilty about thinking they were kinda good. Group 4 won! Our Friday morning brought with it an תפילה עיון (literally subjects in prayer, a time where we discuss specific prayers or concepts in prayer) and were able to explore parts of the siddur and find connections to our lives. As can only happen after a deeply philosophical conversation, בוקר ארוחת (literally morning meal, breakfast) was French toast sticks! Mmmmm. We went back to the צריפים (bunks) to do ניקיון (cleaning), followed by the classic כיתה (class), פעולה מעלות (our time with the חניכים (campers) to do team building, leadership development, and FUN! ), and a חוג (elective). The afternoon had the חניכים playing some football and going to טבע (our nature exploration activities). The חניכים learned important survival tactics and built shelters, and were a bit disappointed that they could not stay in them over שבת (the Jewish Sabbath). Speaking of, שבת came through as it always does and lifted us off our feet into a whirlwind of spirituality and love. As we landed in a new world richer with care for one another and appreciation of our world and community, it was like we were all wearing ruby red slippers. In fact, this שבת was eerily similar to the plot of the Wizard of Oz. Like with the flying monkeys and everything. Spooky. Sunday Fun-day came around and boy was I excited! We had an afternoon full of surprises, like beginning practice for זמריה (the singing competition on July 21st that מעלות is going to be the best in and going to win, and that a ton of יבנה guests come up for!) and having a special top model פעולה with our כרם (CITs and the oldest עידה in camp). The night brought about a Yavneh classic מעלות tradition: going to Hampshire Hills, an athletic facility in New Hampshire, for an all nighter of snacks, sports tournaments, and other fun things that are alliterative with snacks, like smiles, swimming, and meaningful experiences. 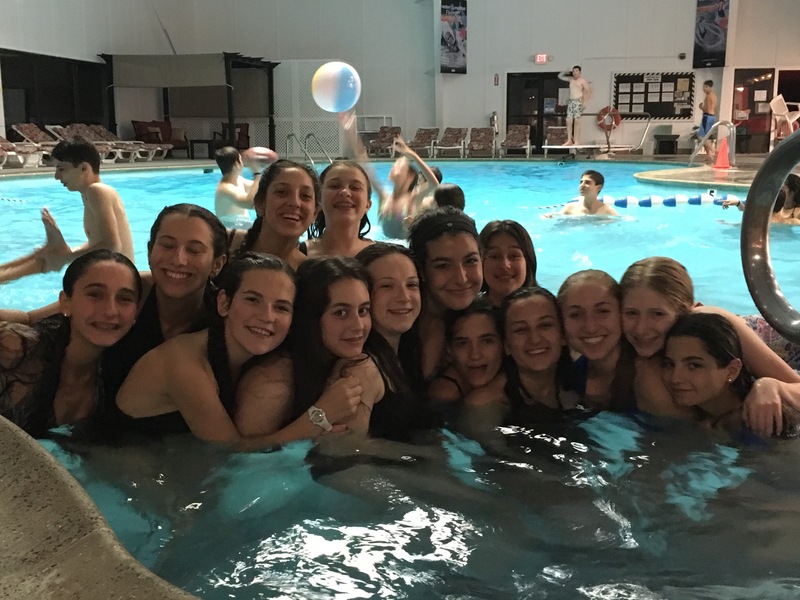 We arrived at around 10 pm last night and stayed up all night playing tennis, basketball, swimming and hot tubbing, and more! We left by 5:30 a.m. this morning in time for the facility to open. As the חניכים settled into their beds, the sun already up, they were shocked at the fun and responsibility afforded to them. It really is a summer of growing up.